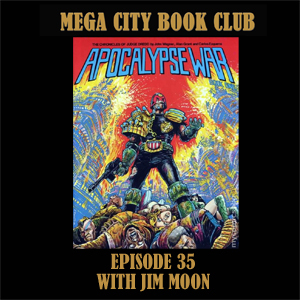 Mr Jim Moon travels from the great library of dreams to the book club and brings with him the Dredd epic to end all epics. Check out Jim's fabulous podcast about all forms of weird fictions, Hypnogoria. And get your copy of the Apocalypse War in Case Files volume 5, or in the Hachette collection hardback.